Dr. Weeks’ Comment: Cancer STEM cells are increasingly the focus of cancer research – this is good news! Researchers have identified a new regulatory pathway that may play an important role in basal-like breast cancer (BLBC), a particularly aggressive form of breast cancer often referred to as “triple negative.” This pathway may serve as a target for the development of an effective therapeutic. These findings appear in the journal Molecular Cancer Research. While targeted cancer drugs are an option for some types of breast cancer, BLBCs are generally unresponsive. Additionally, these tumors tend to metastasize rapidly and patients with this disease generally have a worse clinical prognosis. 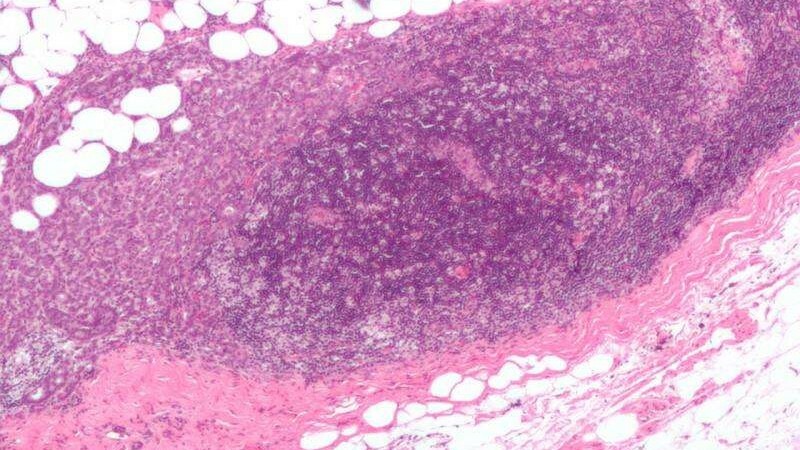 The aggressive nature of this subtype of breast cancer may be due to the fact that these tumors often harbor a higher content of cancer stem cells(CSCs). CSCs are thought to drive tumor recurrence, progression, metastasis and drug resistance. Researchers at Boston University School of Medicine (BUSM), under the direction of Sam Thiagalingam, PhD, found that a protein secreted by BLBC cells, called periostin (POSTN), acted to nurture and support cancer stem cells by activating a distinct signaling pathway in these cells. The researchers found that POSTN acted through a specific integrin receptor that was present on the surface of many BLBC cells. When they disrupted either POSTN or the integrin receptor, they found a dramatic loss of CSCs and an impaired ability of the cancer cells to form tumors. The group also found that BLBCs with high POSTN levels were associated with an increase of key cytokines. “These findings suggest that BLBC cells have an innate ability to establish a local microenvironment that is supportive of cancer stem cells,” explained Thiagalingam, associate professor in Genetics & Genomics, Medicine, and Pathology & Laboratory Medicine, at BUSM. At this time however, the potential of using this strategy in patients with BLBC, and possibly some other carcinomas, remains to be evaluated. “Ultimately, eliminating cancer stem cells may represent a viable approach to combating BLBCs and inhibition of POSTN signaling may be one way to achieve this,” added Thiagalingam. Ninth grader teach the pros about science.